Diane Abbott and Mayor Philip Glanville joined residents of the Northwold Estate to celebrate the past successes and future plans for the local community centre. Formally the Northwold Community Centre, the space has been renamed ‘Raising Hackney’ after a vote by local young people. The event also marked the appointment of Hackney Way, a local community engagement charity, as the new overseers of the community centre. Hackney Way will work with the centre’s manager, Alicia Isidore, to develop activities and services that will engage the local community such as face painting, t-shirt printing, pool and football. 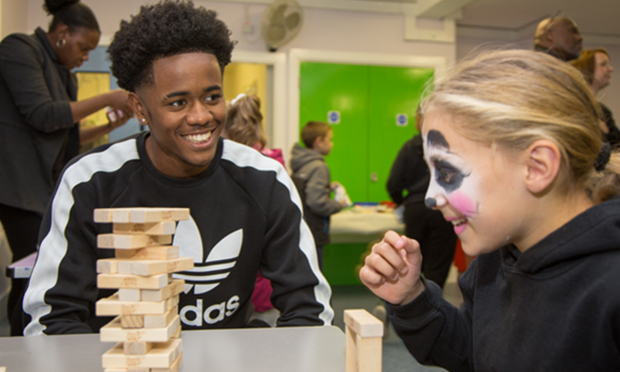 Tottenham Hotspur striker Shayon Harrison, who attended the centre as a young boy, was also at the event to lend his support. “There’s a great atmosphere here. 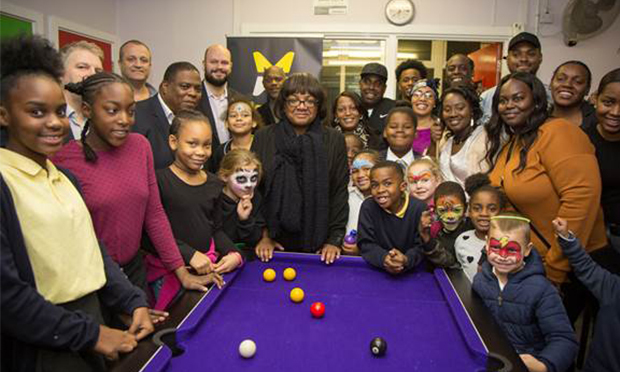 The memories of the young people that used the centre growing up are inspiring and it’s great that now they are older, they’ve come back to support the next generation.” said Diane Abbott. Raising Hackney currently receives funding from Northwold Estate owner, The Guinness Partnership.